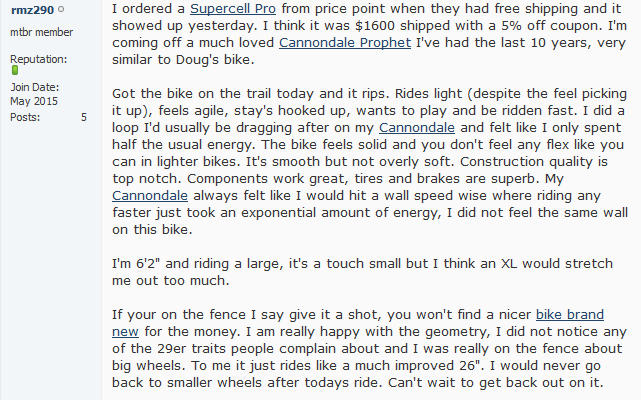 You’re gonna get the nitty gritty facts in this Breezer Supercell Pro 29er review. When I first got into mountain biking, I was 100% into all-mountain downhill. The gnarlier and steeper the trail, the faster I’d try to race across it. But over the years my biking interests began to change. Instead of steep downhill, I started to prefer riding cross-country. There’s nothing like a long endurance ride to help clear my head and de-stress. Unfortunately, my all-mountain downhill bike didn’t have the best features for marathon rides. A different type of biking required a different type of bike. Searching for the right bike can be a confusing and time-consuming process. Fortunately, I’ve done all the hard work for you. After an exhausting amount of research, I’m proud to present my Breezer Supercell Pro 29er review. Is the Breezer Supercell a good bike for cross-country endurance riders? Is this bike a great value? If you’re in a hurry and just want to see the best price for the Supercell Pro, we got you covered! Click here to see the best price for the Breezer Supercell Pro 29er. 1.2 What is the Breezer Supercell Pro 29er? 1.6 What Makes the Breezer Supercell Pro 29er Unique? Before you start shopping for a bike, you want a clear idea as to how you’ll use it. 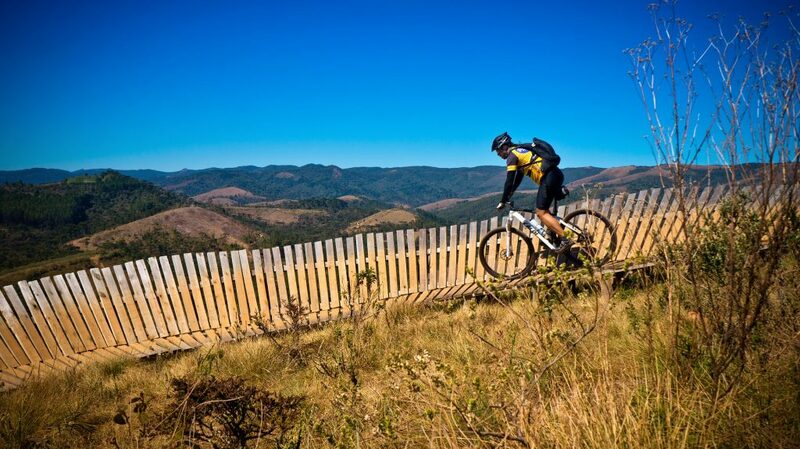 Are you interested in cross-country, all-mountain, fire trails, race tracks or other conditions entirely? If you’re considering a 29er, you should know what types of trails and conditions they are best suited for. 29er’s work well on rougher trails. The large wheels mean more tread and more surface area to grip the terrain. These wheels will give you better control and maneuverability. They’ll also create a bit of a smoother ride. 29er’s are a little more difficult to get moving and can be a bit heavier than smaller sets, but the benefits outweigh the drawbacks for the most part. These bikes are best suited for those who are taking on some more challenging terrain. If you’re seeking additional control and stability, 29er’s are a good bet to give you what you’re looking for. If the trails you plan on hitting are mostly flat and won’t require much maneuvering, you probably won’t need 29er’s. The additional weight and push you need to gain momentum will probably turn into drawbacks and take away from your overall riding experience. In this case, you’d be better off going with smaller wheels. What is the Breezer Supercell Pro 29er? 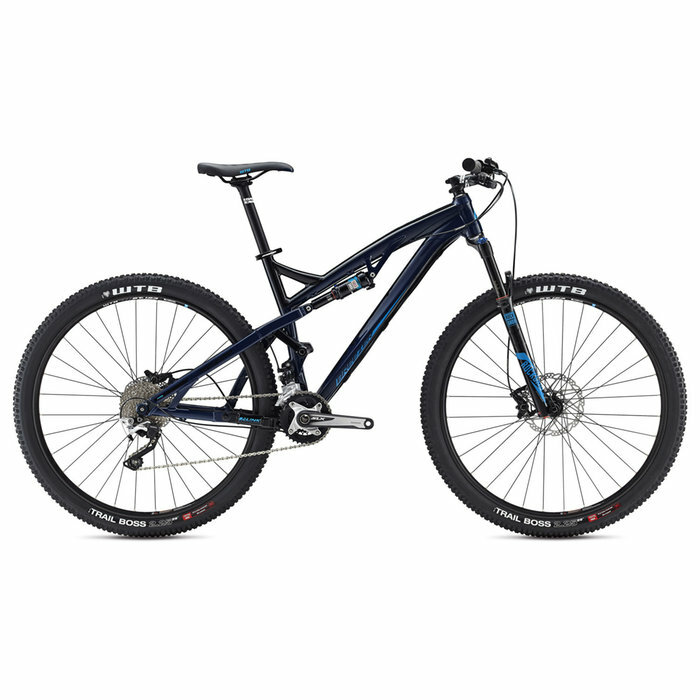 This is an upper mid-range mountain bike built for long rides across great distances. The Breezer is strong, lightweight and efficient. Deftly handles most types of terrain and weather conditions. The Diamondback Overdrive Carbon Pro 29er is another bike in the same general price range as the Breezer. They’re both high-end bikes with large wheels, sturdy frames and lots of features. The biggest difference between the two is speed. The Overdrive is much faster than the Supercell. While the Supercell can reach some quick speeds, the Overdrive is the best choice if you want a bike which moves like lightning. Ready to ride into the great unknown? This bike is best for long rides into the unknown. The large tires and strong frame will roll over rocks, roots and other outdoor obstacles. At the same time, you can ride all day long thanks to the efficient gears and comfortable seat positioning. Take this bike on fire trails, single-tracks, scenic bike routes and other cross-country rides. Don’t worry if you encounter a steep climb or rugged terrain. The Breezer Supercell can tackle the tough stuff. The right features make all the difference. Each element works together to create a comfortable ride. With a 610-mm top tube and 70-degree head angle, the Supercell is an average-sized 29er trail bike. Specific lengths don’t matter as much as the overall feel, and this bike feels anything but average. With 120 mm travel and 29-inch wheels, this bike works great as a daily driver. It’s light enough to transport easily but still strong and stable on the trail. The D’Fusion hydroformed 6066 aluminum frame is hydroformed with a tapered head tube. Of course, you can’t ride your bike 24/7. 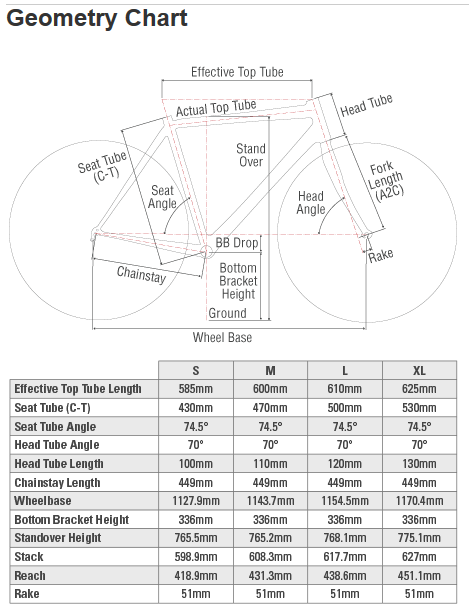 Bike size and weight are also important considerations for storage. I had no problem lifting the bike to hang it on storage hooks in my garage. Chainstay placement on a mountain bike is a funny thing. For the longest time, the chainstay pivot was placed near the rear axle. Eventually, however, trends changed and the pivot was moved in front of the rear wheel. Breezer bikes place the pivot in the middle of the chainstay. They’re the only major manufacturer to do so. Personally, I think they have the right idea. The middle pivot enhances balance and pedal efficiency. If you’re a veteran mountain biker who is thrown off by the pivot placement, don’t worry. One ride on this bike and you’ll probably be convinced in the quality of the M-Link. Mountain bikes can be either hardtail or full suspension. The Breezer Supercell is a full suspension bike. While both types have benefits and drawbacks, I think the full suspension compliments the main purpose of the bike. Full suspension helps you roll over objects when moving uphill. While the full suspension does add a bit of extra weight, riding uphill on a full suspension bike requires less energy than a hardtail. On long rides, everything which helps reduce fatigue is a plus. You might not notice much of a difference between full suspension and hardtail during the first hour or two of riding. But you’ll be grateful for the full suspension by the end of the day. Uphill or downhill, this Breezer has you covered. A fast bike can be a huge safety issue if you can’t stop quickly. Fortunately, I never had any problems keeping the bike under control thanks to the Shimano M615 hydraulic disc brakes. They have a 180 mm front and 160 mm rear. I had no problem slamming on the brakes even on wet, downhill trails. The even braking always kept the bike very stable. Every detail matters. The Supercell has a 336-mm bottom bracket height, sealed cartridge bearing pivots and 142 x 12 E-thru axle. Overall construction was very solid, which is what I’d expect from any Breezer bike. What Makes the Breezer Supercell Pro 29er Unique? Like most other Breezer bikes, the Supercell Pro 29er uses a proprietary M-Link suspension. The chainstay pivot is located in the middle of the stay. This “just right” placement helps balance torsional stiffness while helping prevent wear and tear on the bearing. During rides, small bumps are absorbed easily but there’s no particular soft feeling. I never needed to lockout the rear shock. A cross-country bike needs to be comfortable even for long periods of time. The bike’s neutral geometry allows for extended sitting without pain. When seated, the rider is placed into a neutral position. A neutral position isn’t too slack and isn’t too steep. It’s the best position for general riding. You can move your weight forward when climbing steep hills and then sit back comfortably for long rides. The Breezer Supercell currently retails at $2,999. While this is on the high-end, I think this bike is a great value overall. If you’re new to the world of endurance biking, you probably want a cheaper, entry-level endurance bike. If you’re a veteran endurance biker looking for a cross-country bike which will last for years, I recommend the Breezer Supercell. Diamondback Overdrive Carbon Pro 29er: Diamondback is a trusted name in mountain bikes, and the Overdrive Carbon Pro 29er is the fastest one they make. While not as comfortable or versatile as the Supercell, the Overdrive Carbon Pro definitely hits higher speeds. This is the bike to choose if you prize speed over everything else. Breezer Thunder 29 Pro Mountain Bike: This aluminum hardtail combines speed and shock resistance, resulting in a bike versatile enough for all types of terrain. The Thunder has very efficient pedaling, great controls and is generally comfortable to ride. If you ride shorter distances across many different types of ground, Breezer’s Thunder model is worth consideration. Steppenwolf Tundra Carbon Pro Hardtail: If the Breezer Supercell is a bit out of your price range, the Tundra Carbon Pro is an inexpensive alternative. While the individual components of the Tundra aren’t top-of-the-line, this is still a high-quality endurance bike. The Tundra is a great choice for new bike riders interested in endurance biking but not ready to make a big financial commitment. The Supercell Pro is perfect for long distance treks. Before purchasing a mountain bike, you first need a clear idea of what type of biking you enjoy. Personally, I love hopping on my bike, heading out of town and just riding as far as I can. So not only do I want a bike built for long journeys, I also want one which can handle practically any type of terrain. After all, you never quite know what twists and turns the trails may bring. The Breezer Supercell is designed from the tires up for long distance cross-country riding. The unique neutral geometry design keeps you comfortable even on marathon journeys. Plus, the 29-inch WTB Trailboss tires are a few inches bigger than the 26-inch tires you’ll typically find on an endurance bike. All in all, this bike lets you go basically anywhere. Efficient and comfortable, you can ride all day without worrying about any obstacles on the trail slowing you down. After writing my Breezer Supercell Pro 29er review, I feel confident saying this is a great endurance bike. While the initial price is on the high-end, this bike will last for a long time even with heavy use. Hit the mountain biking trail no matter where it leads with the Breezer Supercell. Click Here To See The Breezer Supercell Pro 29er.